China is really connected, literally and figuratively. The country though still cut off from the outside world of sorts, thanks to the Great Firewall of China and the henceforth lack of access to Google and WhatsApp. But yet with WeChat and Weibo, the country is very much connected to one another internally. 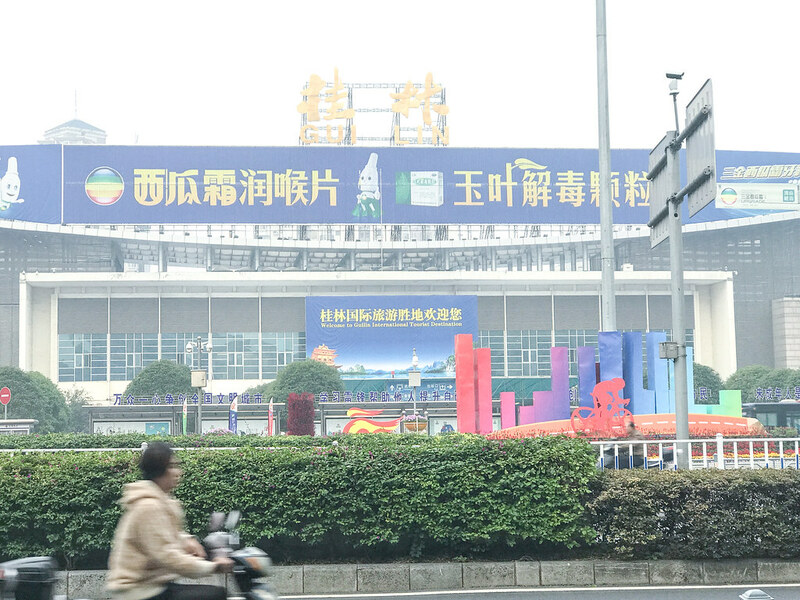 The land connections that each province in China has with one another is better than ever with the rail developments that have been occurring within the country. Journeys that used to take half a day have been reduced to a couple of hours and this can only be a good thing for those that are travelling within the country, both tourists and locals alike. 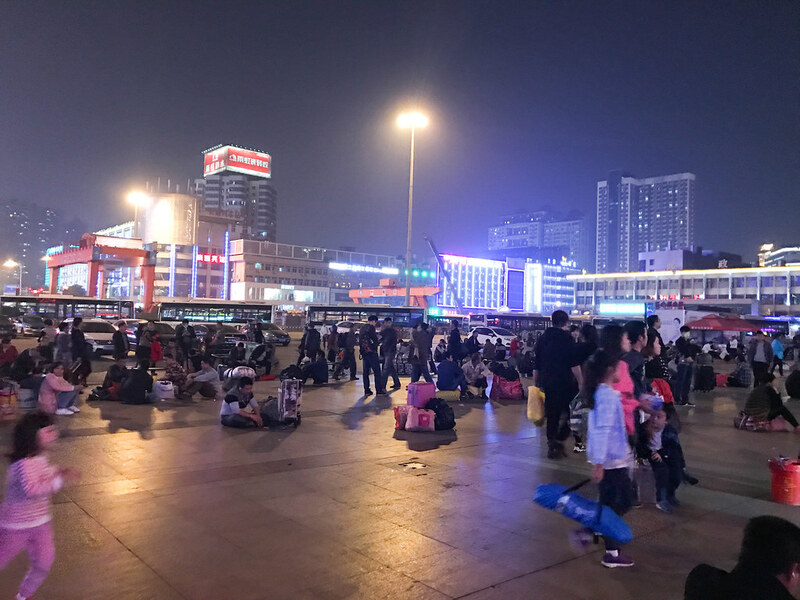 As a part of ticket control against scalpers during the peak travel periods in the country, you can now only buy a ticket with either a Chinese identity card or a foreign passport. Yes that’s right, no passport, no ticket. “Oh, a machine, perhaps I can cut the line,” you may think, but sadly that’s not true. A Chinese identity card to buy a ticket from the machine and your passport won’t cut it… time to get back in line. English or any other language other than Mandarin (or putonghua) won’t cut it when buying your ticket from the ticket counter. For those not fluent in the language, do your homework (with apps that I’ll be introducing later) to reduce the hassle, and having everything written in Chinese on a piece of paper for the ticketing lady to understand is probably your best best. Case in point Guilin North and Guilin Station are a good 10 minutes away by train and much more by walking or bus. So be certain of which station you need to be at in order to get to your destination of choice. Being precise is your best friend if you ask us. Namely, especially Lunar New Year and Golden Week in October. Tickets can be bought 60 days in advance and if you need to travel then, trying to buy a ticket a week or two ahead of time might be suicide. Book early… you have been warned. Or you might be really, extremely lucky on the day itself, but luck isn’t always on a person’s side. Then again, with the tips I have below, you just might make it on the train still, as I learnt through the locals. Perhaps it’s because I’m not well-travelled enough, but for all my train travels in Asia, I have never been checked again through the automated gate right at the platform of my train. Most trains I’ve been on operate on a certain level of trust, by which there is just one check at the station and you head to the right platform to need to go. 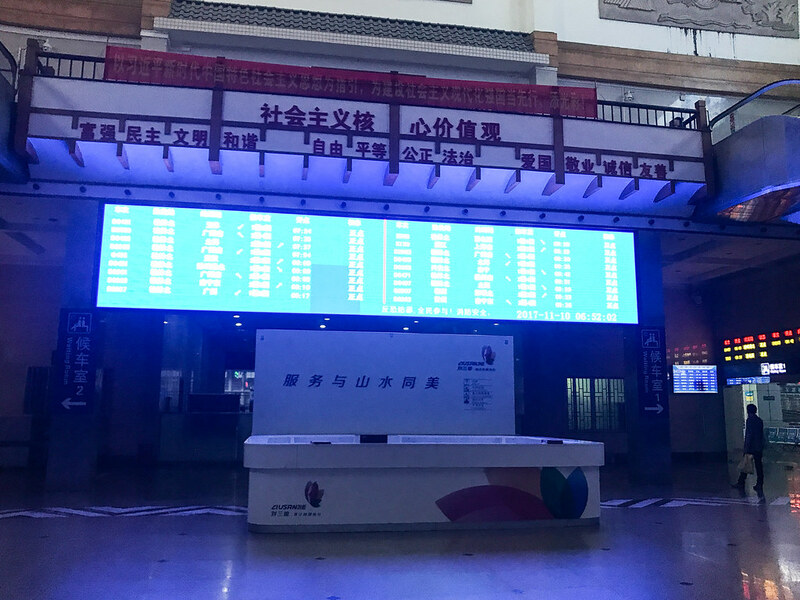 In China, you are only allowed onto your platform minutes before the train arrives and yes, they check your tickets right at the platform again, ensuring that no accident can happen in terms of you boarding the wrong train. Pros and cons I say. That said, with other places too, your ticket gets checked again when you exit, so you don’t save on train fare, which made the excessive pre-boarding checking somewhat confusing to me. Again this may be my naivety, but I thought that the standards would be the same sans the speeds. 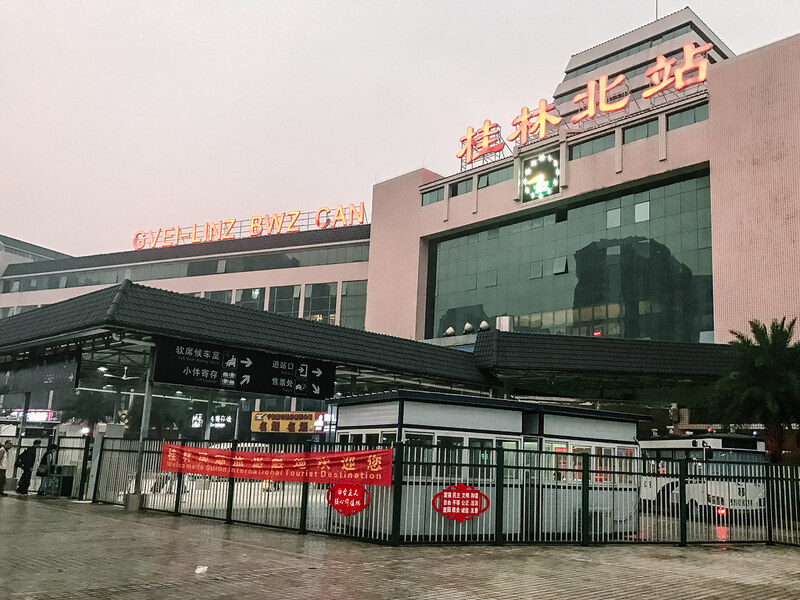 Having taken a day train and having a very comfortable ride on the way to Shoushan, I had to head to Guilin, and thought that the night train to Guilin was the most reasonable in terms of saving time (not needing to put up in a hotel) and price. Turns out, I should have done my homework. There are usually three types of seats for night trains: Soft sleeper, hard sleeper and hard seats, in order of most expensive to least. Sleepers sell out really early, and even if I had the money, hard seat was the only option left (that plus I was planning my trip on the fly). Turns out, a normal hard seat on the night train is really hard. Think 90-degree seats with no recline and comfort as people are seated back against back. And you are on a seat with no divider for either two or three people. There are individual chairs carved out, but no barriers/armrests between them, so you end up leaning against the person on your left and right. That plus people smoke, eat and do everything even overnight. It’s an experience alright, one that makes for a good story and rather, little sleep. 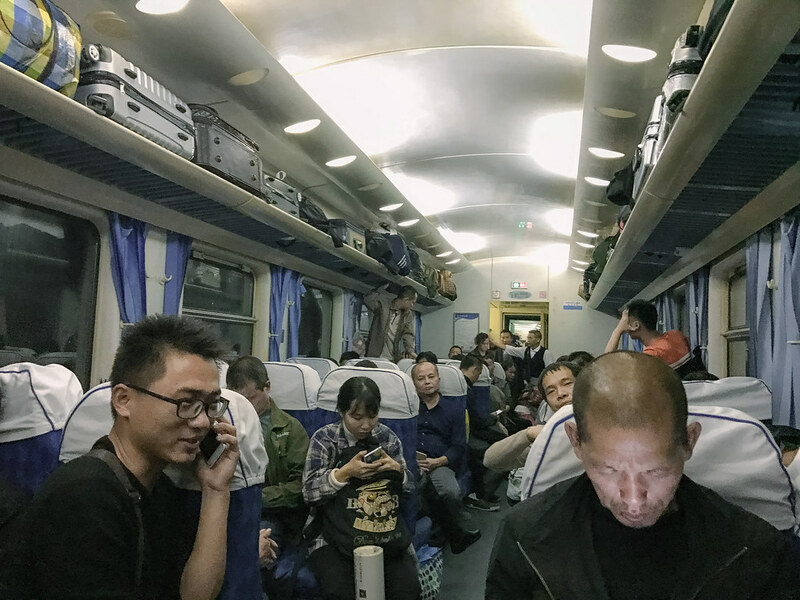 So with all that, here are my China train travel hacks. They might not be ground-breaking, but they may make for a better ride experience, and even get you on the train you need to be despite “sold-out” tickets; no money-saving tips though. You will still need to give your passport number to book it due to control matters, but you won’t need to waste time queuing at the counter just to buy a ticket, or go just before the train you want to take is about to leave, just to find no seats available. As per usual, you can book your ticket 60 days ahead of time and the difference between getting a local to do it with an app on their phone versus you doing it yourself, is the booking fee. Foreigners can buy their tickets with an app like Ctrip, but they charge you about 20 per cent more as a booking fee. Locals on the other hand, don’t need to pay a booking fee, and they can cancel for free. They can even bid for last minute tickets in a bind. My advice then, especially if you are going at it free and easy like me, make friends with the receptionist at your hostel or accommodation and get them to help, paying them with cash for your ticket of course. For me, it worked like a charm. For example, if you are at Station A and need to get to Station C and all tickets are sold out, what do you do? Buy a ticket from Station A to Station B and get on the right train. This is the only ticket you can buy thanks to the strong restrictions now as abovementioned. Once on the train, head to where the train master will be, usually at the dining car of the train, and get your ticket amended and pay the extra you need to get to your destination. It works like a charm especially if you are trying to get from Guilin to Guangzhou (the tickets along this line disappear in a flash), and it helped out two stuck travellers I met in a hostel who really needed to get back. But where then do you sit with this ticket, because the seats will be filled. Here’s when you do the following. Though it’s called the dining car, you can sit here even if you don’t buy anything, and it makes for a great place to sleep to, that is of course unless it’s full. And it comes in handy when you want to sit with a group of friends but couldn’t get seats together. The girls who I met at the hostel and were travelling in the same direction wanted to chat more, but we were all separated, thanks to the lack of tickets available. So instead of sitting in our allotted seats, we went to the dining car, got ourselves a table and were comfortable for the rest of the 2-hour journey. I wished I found out earlier as this was the case on the night train too, and I would have been more comfortable if I learn about the trick that is the night train. Those are my simple tricks for navigating the Chinese rail system. It may not be everything you need to know, but I hope that this at least makes your experience easier and less shocking. This app is one that I highly recommend you download before making your train bookings – Ctrip. Though it’s only helpful if you already know where you are going and just need to know what time the trains comes and goes, it’s still important as some train journeys only happen once a day, you miss it and you have to wait for the next day to get onto the train again. Do you have any train travel tips/hacks to share? Excellent and comprehensive guide. Would have greatly appreciated this when I first moved out to China over a year ago! Thank you for all these really helpful tips! Especially about not being able to buy a ticket without a passport, and not being able to buy a ticket at the machine if you’re a foreigner. I do not have any plans of visiting China anytime soon but when I do, I will keep these things in mind, thank you!